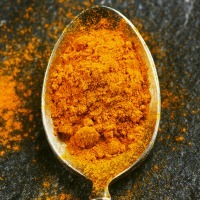 Better known as the substance of turmeric that gives curry its characteristic yellow color, curcumin, according to numerous previous studies, has antioxidant properties, anti-inflammatory, anticancer, and lipid-lowering effects. Curcumin may also help in the case of mental health problems, in particular anxiety. Fernando Gomez-Pinilla, of the University of California / Los Angeles (UCLA, California, USA), and colleagues engaged in test cell culture and in vitro modeling of animals, they observed that curcumin in the diet has the potential to improve the conversion of alpha-linolenic acid, a precursor of docosahexaenoic (DHA), in the liver. Therefore affirm that "Curcumin enhances the synthesis of docosahexaenoic (DHA). These results have important implications for human health and disease prevention cognitive, DHA, in fact, is essential for the brain's Operation and its deficiency has been implicated in many types of neurological disorders. "